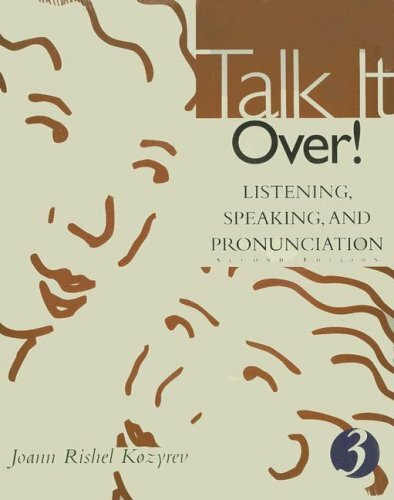 Designed for high-intermediateadvanced-level classes, Talk It Over! helps students develop the skills they need to communicate fluently and accurately by integrating listening, speaking, and pronunciation. The text includes strategies for speaking, listening for main ideas, understanding detail, and note-taking. Listening passages in each chapter include pre-and post-reading activities and feature interviews, radio documentaries, and dialogues in a variety of accents, modes, and styles.